Today time moves fast and our humanness is under assault in many ways. The distractions of consumer society and pop culture, the compression of time, the advance of technological powers, the intensity of life requires nothing less than the development of true spiritual practice and remembrance. The Prophet Muhammad, peace be upon him, said, “There is no ritual worship (salaah) without presence (huzur).” Because of many factors of modern life, more and more human beings are being robbed of this essential human quality and becoming prisoners of the false self, or ego. The essence of spiritual practice in all sacred traditions is presence, that state of awareness which stands above thought, emotion, behavior, and sense perception, but which comprehends them all. With presence we are fully conscious that we are alive, that we are. With presence our experience of life becomes more spacious. 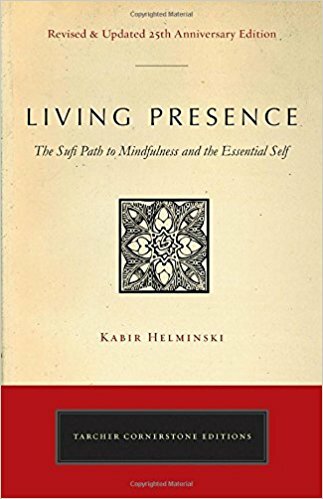 With presence we become aware of a wider context for our life, and we develop a capacity to freely direct our attention. Reflection on June’s theme: Mix with the people with your tongue, but distinguish yourself from them by your deeds. In the Name of God, from whom came the gift of saying. O tongue, you are an endless treasure. O tongue, you are also an endless disease. True. This is how it is. So, this one’s tongue? With what is it busy? The tongue’s function, amongst others, is to be an instrument of speech. Amazing! So, what is the quality of speech of this one? Speech is like a medicine, a small dose of which cures but an excess of which kills. The tongue of a wise man lies behind his heart, and this one asks what is the point of a heart that cannot speak to Friends, directly? Have no need of such a heart. Don’t want it. So, here is this one, O Beloved Imam, speaking with you, with the tongue of this one’s heart, and there you are, Beloved Imam, alive, fully seeing into this world, and yet we cannot fully see you. But then I can see you, here, through your words. Tears flew from this one’s eyes earlier when receiving the inspiration to come be with you. A “seeing” like no other. So, I ask: Mixing with people with the tongue, but distinguishing oneself from them by deeds, what is the true meaning of these words, O Beloved Imam? What are we to do? And our purpose here is to gain a sound heart. The Friends are saying move towards more silence, deepen in silence. As a man’s wisdom increases, so his desire to speak decreases. So, to my heart, uh… well, I loved hearing these words of truth. And my heart is inspired to turn away from all that is nonsense and false, and all that is endless debates and discussions. This one sees, sometimes, that even the spiritual path can become just a path of gathering words, and more words, and more words, and then analysis, and forming of opinions, etc., etc. All of it not amounting to much, except more words. “The best words are few and from the heart.” And just to keep the heart alive, the candle burning, I sit away from all that. Whatever harm accrues of silence can be remedied, but whatever harm is done because of speech cannot be remedied. Remember a man who came to our Beloved, saying the laws of Islam had become too many for him, and asking for an easier practice we could all cling to. Mercy to all worlds then offered this gift, more beautiful: Let not your tongue cease in the remembrance of Allah, who is Mighty, Majestic. 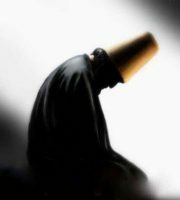 One dervish turns to another dervish, saying, “O dear one, come let’s enter into the beauty, the ocean, of remembrance together.” Eyvallah! Love these words, this mercy. 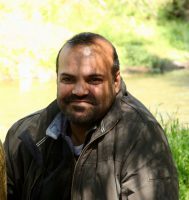 Kamran, who lives happy, knowing his destiny was that he be born in the era of Muhammad. So, he counts his blessings. Eyvallah. That’s all. 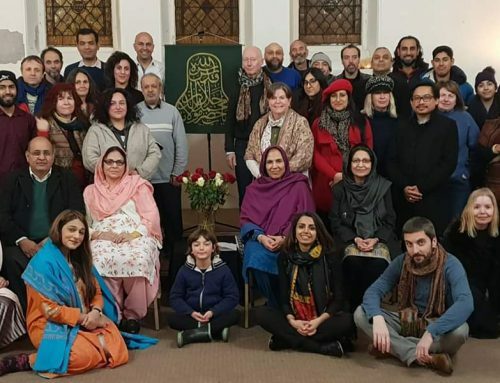 ~ Kamran Sarwar is a Mevlevi dervish holding the fort in Burnley, north England. God gave me a life, the value of every single day He alone knows. We welcome your reflections on this theme. Watch all the Ramadan Names. Many things in today’s world challenge our very humanness. Spiritual practice, sacred space, and conscious community provide a means to rise above the false matrix that distracts us, reduces our intelligence, and numbs our hearts. 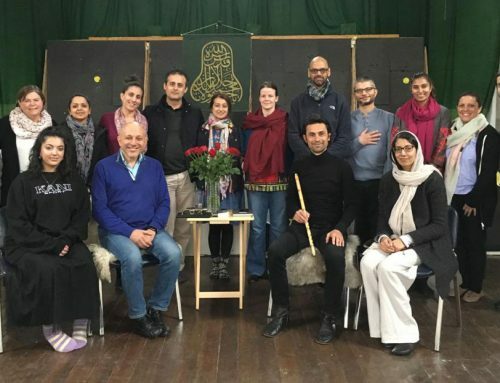 We can learn, for instance, from the practices, manners, and organization of traditional Sufi lodges that provided a comprehensive education of the human being. An extraordinary degree of consciousness and creativity flourished in these centers of spiritual and aesthetic attainment. When one stepped over the threshold into a Mevlevi Lodge, one entered an environment in which spiritual courtesy in language and behavior reflected certain spiritual truths and aided in their realization. Join us for a contemporary experience of sacred space, celebrating Eid al-Adha in beautiful countryside with precious community! More details and registration here. Bring your ney for a music lesson from master Mevlevi musician Selcuk Gurez! ONLY 3 PLACES LEFT – BOOK NOW! a reliance on our own experience even when guided by the beauties of a tradition. but opening to spiritual perception, living the Truth. deepen our perspective on life, and be inspired by each other. 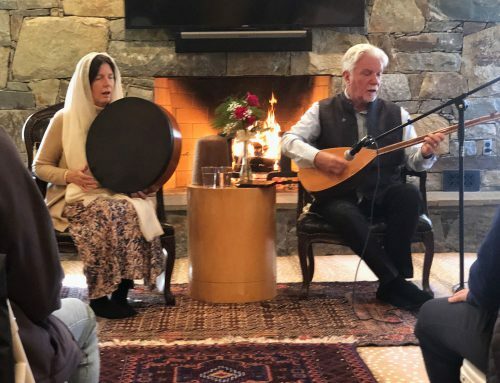 Sufi music, zhikr, and contemplation in the tradition of Rumi. 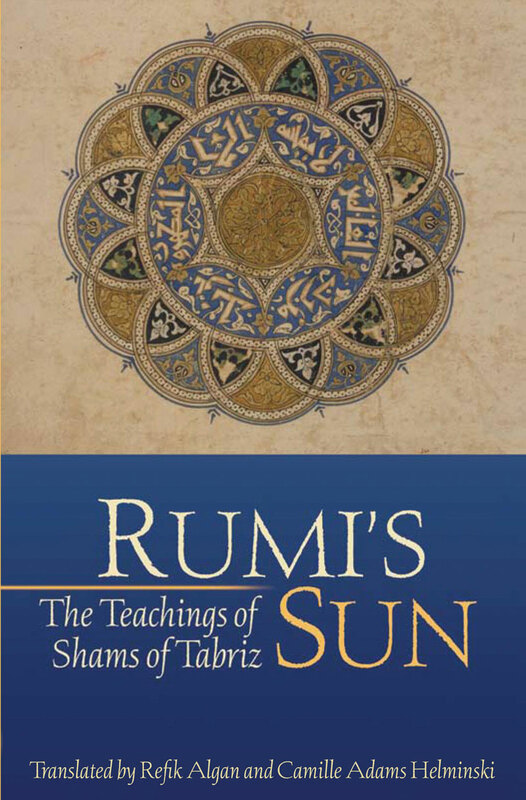 A new edition of Rumi’s Sun: The Teachings of Shams’ of Tabriz will be published in August by Threshold Books. The new edition will contain a surah index, allowing the reader to reference Shams’ interpretations of particular passages from the Quran. Pre-order at amazon.com. Pre-order at amazon.co.uk. Read Daniel Thomas Dyer’s Ramadan reflections on this book: Ramadan with Shams: The Ambush of Love. In Sufism, the mystical branch of Islam, presence is the quality that describes a heart-filled state of mindfulness, an experience of being conscious in the present moment. 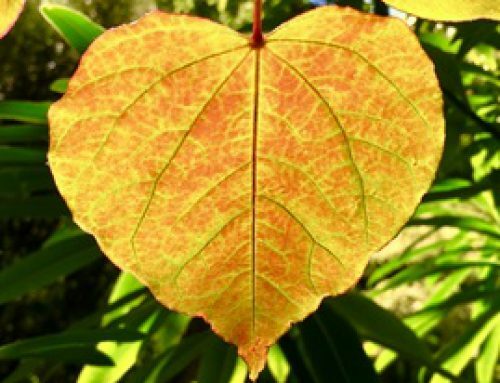 It is only in this present moment, Sufi teachings reveal, that we can connect with the Divine, and the Divine can live through us. Publishing August, available on Amazon, etc. 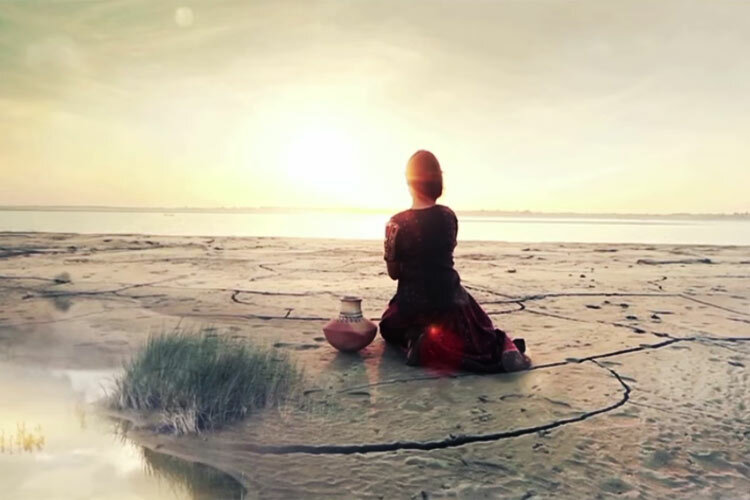 Sufism has long been the kernel of Islamic truth and the embodiment of its wisdom. 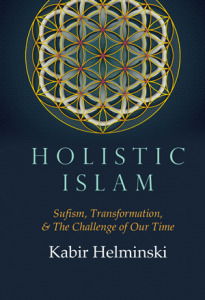 Kabir Helminski’s Holistic Islam is a sagacious and indeed perspicacious walk through the heart and soul of Islam. It is an essential source for anyone who is interested in Sufism or in the moral impulse that motivated great sages like Rumi and Hafiz. Perhaps, more importantly, I think this book is a must read for anyone who wants to understand the real Islamic faith. 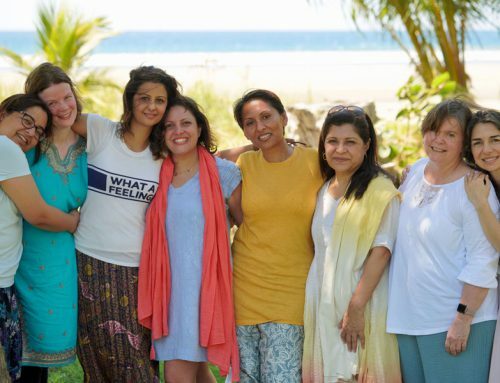 Threshold’s collaborative blog channel The Living Tradition on Patheos.com is reaching new audiences and sharing the experiences of our community in a unique and vibrant way. 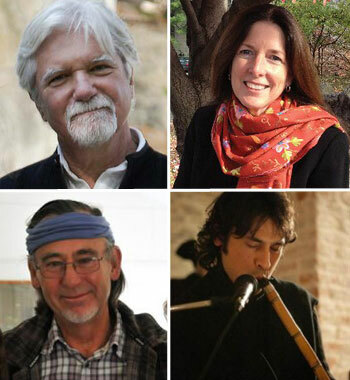 Let us know what you think by commenting on the posts — join the discussion at www.patheos.com/blogs/livingtradition and “follow” The Living Tradition. Jul 9: Bradford, UK. Rumi’s Circle Whirling Workshop at Bradford Literature Festival, more details. Aug 25: Kettering, UK. Sufi Soul Session with Rumi’s Circle at Greenbelt Festival. More details due soon, keep an eye here. Nov 10-12: Kendal, UK. Sacred Pattern in the Feminine & Masculine, with Beth Hin. More details soon. and the sky is clear. Find out how to support the work of Threshold Society. Share The Love, Choose Your Platform! Books, Music, Courses and More. . .
~ Copyright © 2018 The Threshold Society. All Rights Reserved.